On December 3rd, the "Real Milwaukee" show on Milwaukee FOX 6 did a short piece on the Kenosha LEGO Users Group, of which I am a member. Filming was done at Wingspread, where we displayed a few other LEGO models alongside my Wingspread model. Check out the video here. Today I spent 2 hours setting up my Wingspread model inside the real Wingspread! I'm very happy to have the opportunity to display my model there for the next 2 months. The Johnson Foundation at Wingspread gives free tours. If you're going to be in the area, schedule a visit! Feel free to leave a comment here on my blog, I'd love to hear your thoughts on the model. If this is your first time at this site, feel free to browse my older posts here. I used this site as a log of my progress as I built the model. I have a list of Frequently Asked Questions in the links on the right as well. A big thanks to Mark Hertzberg for doing a feature on the model and setup on his Wright in Racine blog! 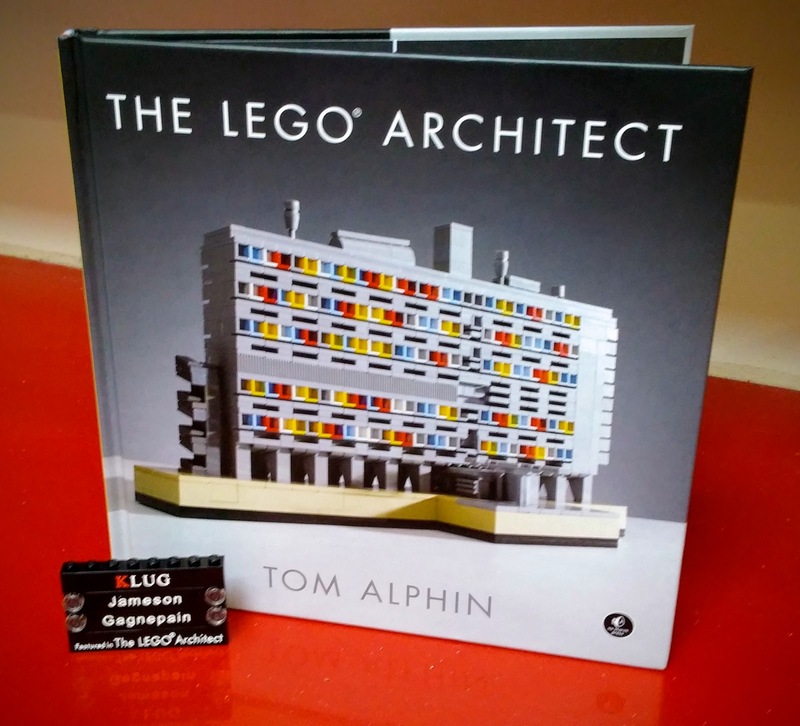 The LEGO Architect book now available! 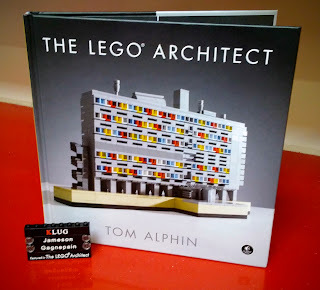 No Starch Press has recently published "The LEGO Architect" by Tom Alphin. I'm quite excited that I was asked by Tom to have pictures from my Wingspread build in the book, as well as some quotes and a profile on me as a builder. On seeing the finished product, I am quite impressed at how beautiful the book is. I'm happy to keep this on my coffee table - every page is laid out well, and the photos of LEGO models and of real buildings are very nicely shot. 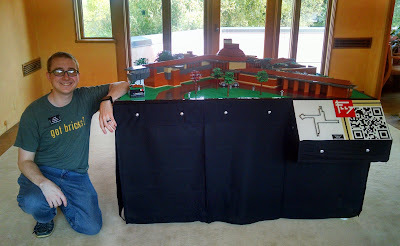 Check out Tom's blog at BrickArchitect.com. I was fortunate to talk to the Beyond The Brick podcast team during the show at Brickworld Chicago this year. Check out the interview above, and enjoy the view! Over the last weekend, I showed my Wingspread model at Brickworld Chicago 2015. I'm happy to say the votes are in, and it won Best Large Building! A huge thanks to everyone who voted for me. It was so nice to talk to many of you about the model. This is my first time winning any awards for my LEGO creations, and my third time being nominated.